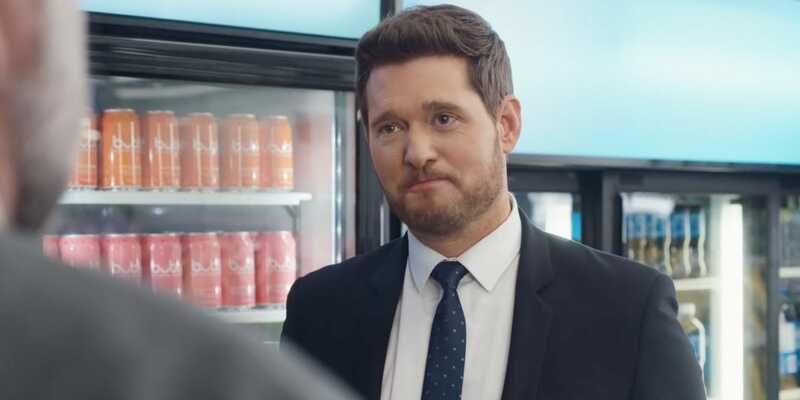 Bubly's ad featuring Michael Bublé was one of the standouts. We told you what we thought of the ads during this year’s Super Bowl. But don’t leave it us to be the only folks weighing in. 76 percent gave it a thumbs down. 52 percent gave it a thumbs down. 68 percent gave it a thumbs up. 74 percent gave it a thumbs up. 65 percent gave it a thumbs up. 53 percent gave it a thumbs down. 66 percent gave it a thumbs up. 72 percent gave it a thumbs down. 60 percent gave it a thumbs up. 71 percent gave it a thumbs up. 50 percent gave it a thumbs down/up. 48 percent gave it a thumbs up. 58 percent gave it a thumbs down. 51 percent gave it a thumbs down. 51 percent gave it a thumbs up. 62 percent gave it a thumbs up. 61 percent gave it a thumbs down. 53 percent gave it a thumbs up. 65 percent gave it a thumbs down. 71 percent gave it a thumbs down. 75 percent gave it a thumbs down. 52 percent gave it a thumbs up. 69 percent gave it a thumbs down. 56 percent gave it a thumbs down. 81 percent gave it a thumbs up. 79 percent gave it a thumbs up. 54 percent gave it a thumbs down. 80 percent gave it a thumbs up. 57 percent gave it a thumbs down. 62 percent gave it a thumbs down. 90 percent gave it a thumbs up. 64 percent gave it a thumbs up. 54 percent gave it a thumbs up. 70 percent gave it a thumbs up. 67 percent gave it a thumbs up. 74 percent gave it a thumbs down.